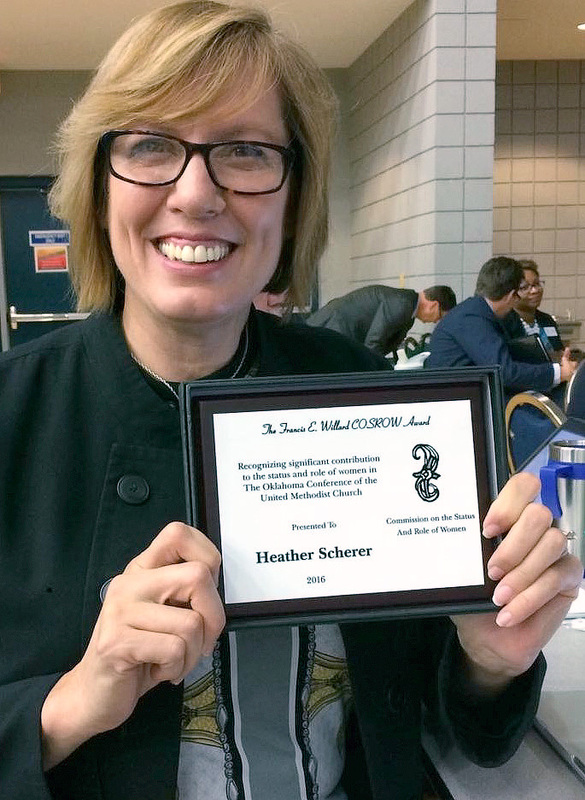 Left: Church planter/pastor Heather Scherer of Living Water UMC, Glenpool, received the 2016 Frances Willard Award from COSROW (the Commission on the Status and Role of Women) during the 2016 Annual Conference in OKC. 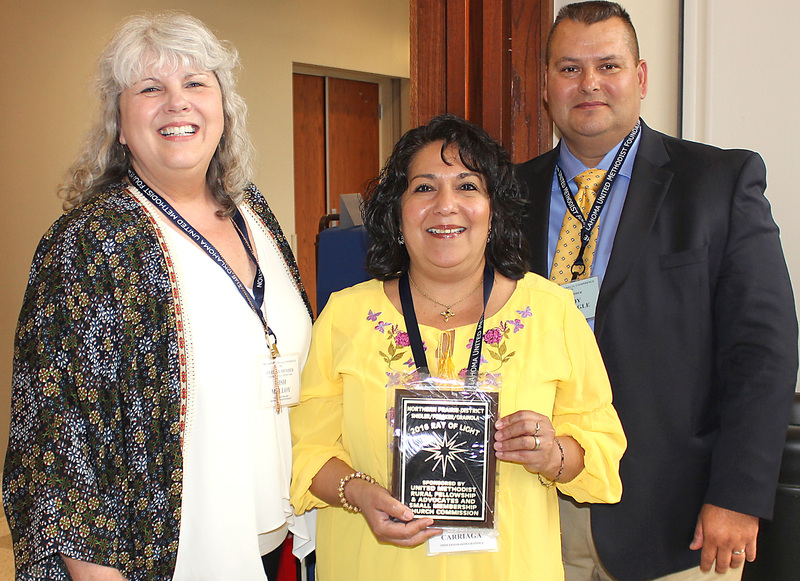 Right: Selected for the "Ray of Light" honor in the Northern Prairie District was the Shidler/Foraker/Grainola charge, with Superintendent Tish Malloy, left; pastor Velma Carriaga; and Troy Big Eagle, Foraker’s church treasurer. One church in each district received this new award from the Conference small-church commission and the UM Rural Advocates & Fellowship.